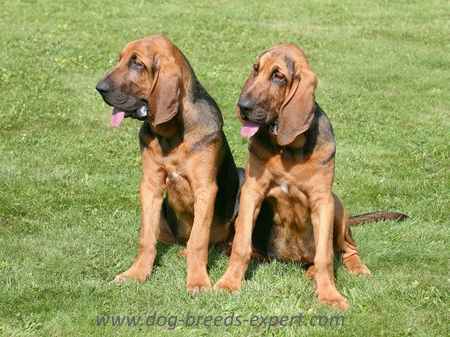 Bloodhounds are medium sized dogs that are great for families. These dogs are social and affectionate with their owners, although, their primary interest will always be fascinating smells. The Bloodhound is famous for its incredible nose, which holds true to this day. These dogs will often be seen with their heads near to the ground, tracing the source of an exciting scent. 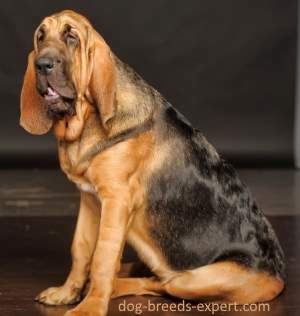 Bloodhounds are gentle and playful dogs, making them great for kids. They are more tolerant than other breeds as well, which is a necessity when handling the chaos brought by children. They’ll enjoy the attention and petting that they receive from these tiny people, but should be kept away from young children. Their size can put smaller kids at risk as they can easily be knocked down. Kids should always know a dog’s boundaries before handling them as well. These dogs are not known for being too vocal. They typically only bark when excited or when alerted by something. This may seem to make them more suitable for apartment life, but they prefer to live with a lot of space and are not recommended for apartment living. These are good dogs for people who are more sensitive to high volumes. There is nothing shy about Bloodhounds when they are tracking a scent, but they can be reserved around strangers. More socialized hounds are more likely to approach unknown people while others have to be introduced. Once trusted, however, Bloodhounds will cozy up to almost any guest. These are social dogs that love to be with their families, so they often enjoy the additional company as well. 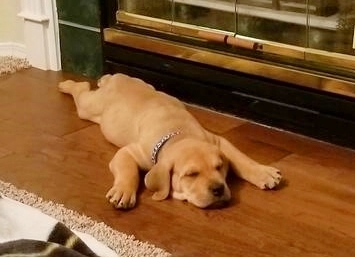 While the stereotype for this breed has seemingly become one that has them only moving when tracing a scent, this is not the case. These dogs are known for being energetic, so they need a decent amount of exercise regularly. Regular exercise will help keep them healthy and help maintain their energy. An active dog may start occupying itself in ways that may not be too popular with its owner. Often chewing on household objects as a conduit for their excess energy, it is important that they get their daily exercise in, whether it be for a walk or a game of fetch. These dogs have quite the appetite. Their floppy muzzles seemingly becoming vacuums for food, as they eat their food very enthusiastically. They’ll eat almost anything you put in front of them, and more. This breed is infamous for eating household items, so it’s good to keep things out of reach. Their hefty appetite also leads them to put on weight, so it is important that they do get their needed exercise. Unfortunately this tendency to bolt food down quickly can lead to bloat, a dangerous intestinal condition. I strongly recommend getting an anti-gulping bowl for bloodhounds. Well worth it! The Bloodhound can seem a bit ironic in its behavior. They will be independent while remaining very reliant on their families. These dogs love to be with their packs and become anxious when left alone for too long. The breed is prone to separation anxiety, which will lead them to get into some trouble in an attempt to occupy themselves. Whether it be chewing on your shoes or digging in your yard, these dogs shouldn’t be left alone. For owners who aren’t home most of the day, they’ll often send their dogs to daycares or hire people to watch them. The breed’s incredible nose can get them into some trouble. If a Bloodhound is curious about a scent, it will attempt to trace it to the source. This is an issue, as they’ll follow it regardless of where it takes them. To keep these dogs from sniffing their way into traffic, it is necessary to have a tall, solid fence around the property. These dogs aren’t exactly Harry Houdini when it comes to escaping, but they will make their best attempt to get out. An invisible electric fence will not suffice, however, as the shock is often not a strong enough deterrent for these determined hounds. These dogs are altogether not very sensitive to their environment, tolerating more chaotic scenarios. This can make them a bit more stubborn and reluctant when it comes to training, but is ideal for busy households. Bloodhounds are also known to be decent when it comes to handling weather extremes. They have a light coat, so they usually manage hot weather fairly well. Their coats and thick skin is also enough to insulate them in the cold. 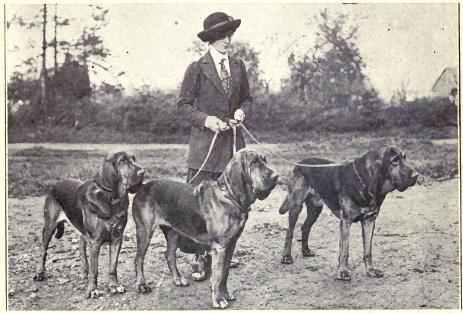 The Bloodhound’s history has shady origins, although, most historians believe these dogs originated in Belgium. The breed then proceeded to set strong roots in France. The St.Hubert’s hound, an early descendent of Greek dogs called Laconians was likely used in the development of the breed because of their amazing scent ability. With the modern day bloodhound that possesses 300 million scent receptors, more than any other dog, I’d say that the choice of the St. Hubert’s Hound was an obvious success. These dogs were very popular in France for a while, proceeding to spread into the rest of Europe, gaining a following especially in Britain. These dogs saw their strong roots interrupted by the French Revolution. The breed was one employed mostly by the French aristocracy, which was promptly disheveled during this time. The name “Bloodhound” associating them with the wealthy in France did not win them too much popularity among the dirt poor lower classes. 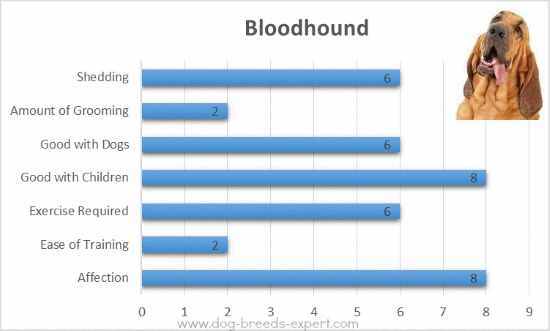 The name bloodhound is associated with the fact that most were carefully bred with frequent written records. They were known as the "blooded hounds" because they had pure blood and noble breeding. These dogs saw a decrease in numbers during this time, but still remained popular elsewhere. Having had a presence in Britain for centuries before the French Revolution, these dogs were popular there as well. For a while, however, these dogs were primarily used in tracking game over large distances. The dog’s endurance helped keep up with their owners, often riding on horseback. Towards the late 1700s, these dogs had begun their vocation as tracking more than just game animals. Starting in Britain, the Bloodhound’s nose was put to good use tracking down criminals. They were also used America to tract down runaway slaves, but contrary to popular belief, most of the dogs used for this task were mixed scent hounds. As with tracking game, the breed excelled, and can be seen sniffing out contraband and criminals to this day. The breed later gained special recognition by Queen Victoria, further bolstering its growing popularity. These dogs were among the first to had made it onto the newly discovered Western Hemisphere. The Bloodhound is believed to have been in North America during the colonial era, once more being put to use as a hunting dog. The breed was not as popular in the budding U.S. as it was in its European venues, remaining as so for a long time. The breed saw a dip in popularity during the Civil War as well. The breed began to gain more of a following in the US in the late 1800s. This was timely, however, as soon enough, WW1 had broken out in Europe. This world war put a particular strain on the breed’s population in France, Britain being slightly less affected. Altogether, many breeds saw their numbers decrease during this time, as few could afford to own dogs. Those that did were often wealthy, leading the breed to have a smaller gene pool. The breed continued to gain popularity in the years following, slowly rebuilding its population in Europe as well. Today, the Bloodhound is popular breed amongst many people, whether it be law enforcement or the average person. Ever since its registration in 1885, the breed has gained the spot as 49th most popular of the breeds registered by the AKC. 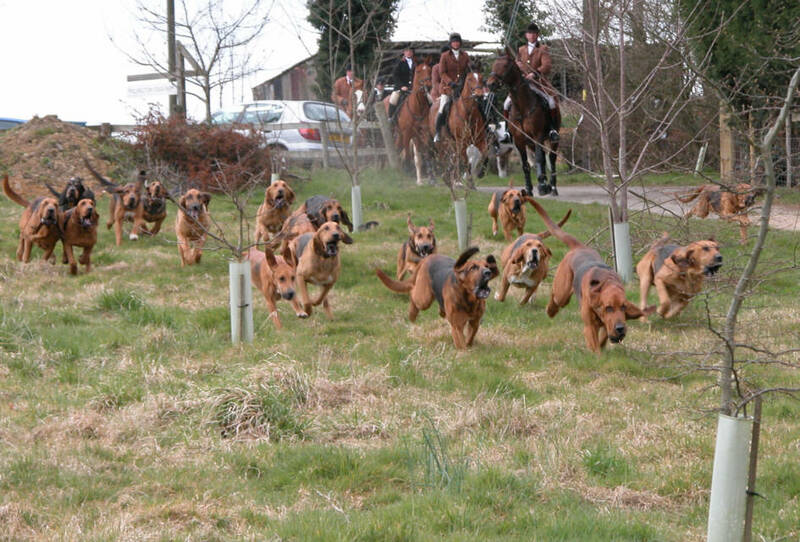 As with most hounds, the Bloodhound can be difficult to train. Breeds such as this have a stubborn streak, as they are often independent, preferring to do their own thing. It takes a good, consistent owner for them to consider doing what they’re told. This breed, in particular, will be distracted by the variety of scents it’s picking up, so it is harder to keep its attention. Most owners recommend crate training as well as obedience classes to help train these dogs. Once the loyalty and attention of these dogs have been acquired, training is smooth sailing. It is vital to be firm about rules with this breed, although, as they will test if your yes’s are yes’ and if your no’s are no’s. Housebreaking the dog is not terribly difficult, but it’s good to dog proof the house beforehand. A Bloodhound will try and get to any food it can reach too, so it’s best to keep an eye on your dinner. Socialization is a critical part of training any dog, as it is crucial in the development of their personality. A well socialized and exposed dog will be more comfortable in its environment, being more tolerant and quiet about things they find unusual. They will also be more relaxed around guests and other animals, which is necessary for more energized breeds, such as this. Owners will often expose their dogs to various sights, smells, and sounds by taking them on frequent walks. Obedience classes also help to socialize the dog with other canines, as well as people. There are no markings recognized for this breed. The Bloodhound is an easy dog to groom. It’s recommended that their thin coats are brushed at least once a week. 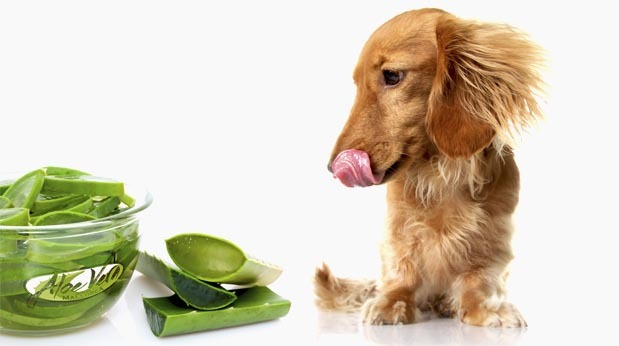 Regular brushing helps remove shed hair, distribute coat oils, and remove dirt. While these dogs don’t typically build up an odor naturally, they may smell after getting into something dirty. Many owners of this breed will bathe them as needed. They tend to drool and their facial wrinkles require daily cleaning. Along with their coats, all dogs need to have their teeth brushed as well. This usually does not take very long and is just as important as any other part of grooming. Regular brushing will prevent tartar buildup, remove plaque, and keep the dog’s breath smelling fresher, as dog breath goes. It’s recommended that these dogs have their teeth brushed around 2-3 times a week. It is also important to clip a dog’s nails regularly. If their nails get to be too long, they can become uncomfortable and painful. You can usually hear when a dog’s nails are too long, as they will click against the ground as they move. Typically a Bloodhound will need their nails clipped about every 3 weeks. Otherwise, if you hear clicking, it may be time for clipping. Cleaning and checking a Bloodhound’s ears is a crucial part of the grooming process. The breed shows off a large pair of floppy ears, which happen to be fairly good at preventing airflow. This allows for bacteria and wax to build up in the ear, which may lead to infection. It is also important to this breed to clean their ear tips because their ears are so long that the often drag into their food. Regarding protection, the Bloodhound is not too proficient. The dog is not very protective or defensive of its territory, instead preferring to explore scents it has picked up. Their weight makes them capable of knocking an intruder down, although, they are unlikely to engage somebody unless threatened. Should they decide to stop an intruder, they wouldn’t get very far. These dogs are not recommended for protecting you or your property. These hounds are not suitable as watchdogs either. They are not very keen on their hearing, despite their large ears. Their strength is in their scent and may put forward a valiant attempt at licking the intruder into submission. These dogs are not very vocal either, but some may be. Altogether, they would not be too great at alerting their owners. The breed’s personality is also simply not made for being a guard dog. These dogs are friendly and social, hardly ever defensive. There’s a better chance they’ll want to smell an intruder before anything else. Any well socialized Bloodhound will prefer to greet a stranger rather than scare them away, making them not at all ideal dogs for protection. For the avid outdoorsman, these dogs are perfect, but if you want protection too, it is best to consider a second dog more suited to guarding. All dogs can get sick, just like people and these dogs are just as prone to the many infections diseases that others can. Some breeds are more prone to certain genetic health problems than others, so it is important to be aware of them when getting a dog. It is also necessary to be able to provide the dog with proper medical care and regular visits to the vet. 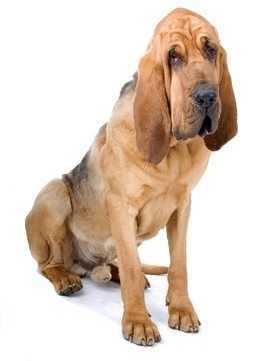 The Bloodhound is a fairly healthy breed, having a lifespan that is typical of dogs its size. They are prone to certain health conditions, and though they are not inevitable these conditions have been reported as occurring in this breed. The last condition (bloat) can be PREVENTED by getting an anti-gulping bowl for your Bloodhound. When purchasing a purebred breed, it is very important to find a good breeder to buy from. Some breeders are just in it for the money, often producing unhealthy or unstable dogs. A good breeder will know the breed well, and be able to pass health checks for their dogs.